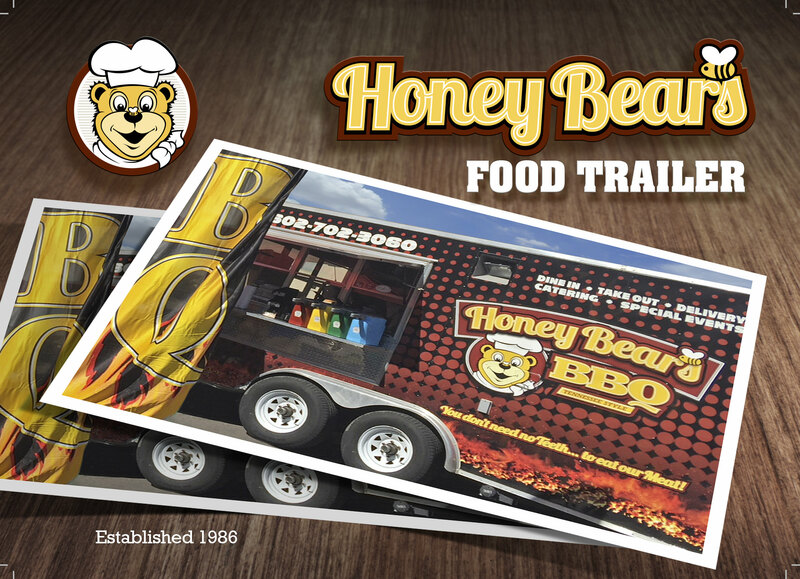 Food Trailer - Honey Bear's BBQ, Inc.
Food Trailer Thinking about hiring a food truck to cater your next event? A fun, convenient, and DELICIOUS alternative to your typical catering service... Let us turn your next event into an unforgettable experience for you and your guests! HONEY BEAR'S BBQ FOOD TRAILER loaded with all your favorites! 50% deposit to reserve date and time. Balance due 2 weeks prior to event date. 2 hours of service time included / additional hours available upon request. Prices based on one serving per guest. It is the clients responsibility to ensure that power/electricity is available. If no power is available, there will be a fee for generator usage. It is also the clients responsibility to ensure that the trailer is allowed to park at the event.